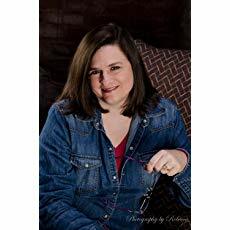 I love reading both your books and Lynette Eason's! I love the suspense novels! You know it’s a good one when you stay up to late reading. Thank you for the review! I literally could not stop, Perrianne! Thanks for stopping by. Elizabeth, I only get to read at night, just before I go to sleep. So if I get caught up in a story, I end up staying up way late. Thanks for stopping by. Your books are so suspenseful I cant put them down. I love Lynettes too. You have so many good authors in your genre and I dont have to worry about reading anything bad in the books. Valarie, thanks. That's one reason I read Christian suspense - so I don't have to worry about anything bad in the books. Thanks for stopping by. Tammy, I must get Oath of Honor read. I have it, but somehow it got pushed back on my TBR table! Thanks for stopping by. I both your and Lynette's books! They also keep me up all night to finish! I keep telling myself just one more chapter but I just keep going to the end! I can't to read Mind Games and Called to Protect! Thank you, Beverly! I know that "just one more chapter" thingy! Thanks for stopping by. Love a good suspense story! This is a MUST Read! Thanks for your post! Absolutely, Jackie! Thanks for stopping by. I love inspirational suspense and Lynette Eason writes some of the best! I recently had a Eason binge read and Called to Protect lead off. It's a good picture into the evil of human trafficking and the heartaches of those trying to fight it. Thank you Lynette for such a potent read! This was a very intense book for sure, Kimberly. Thanks for stopping by. It is, Patricia, it is. I really like print books because I love the smell but I also have several e-books b/c you can carry around a lot more books at once. :) thanks for a chance to win. I totally like print books better, but I do have a Kindle and read a bit here and there on it. I totally understand, Patty. With a print book, you don't have to worry about the blue light from the reader keeping you awake. :-) Thanks for stopping by. Shelia, it's a great book! Thanks for commenting. I would love to read this book as it sounds so exciting. Thanks for the chance at the giveaway. Good to see you here, Faith! Thanks for commenting. I love this series! Full of suspense and just the right amount of romance. I love reading from my Kindle because the next great book is just a click away. Yes, Misty, it's a great series. Now I have to go back and read the first one! Thank you for the giveaway! I've really enjoyed reading the Lynette Eason books I have read so far...but I have a lot of catching up to do! Good to 'see' you here, Colleen! Thanks for stopping by and commenting. I read the novella in Cost of Betrayal and am looking forward to the other books in the series. Definitely print books! Oh! I have to get that novella, Linda! Thanks for reminding me. Thanks for the giveaway. Haven’t read Lynette Eason in a few months.....time to rectify that! Hi Mindy and thanks for stopping by and leaving a comment. Print is always my favorite, but I do read ebooks, Joan. Thanks for stopping by. I enjoyed this post and your blog post. Print is my preference. I read a few ebooks but it's not the same. 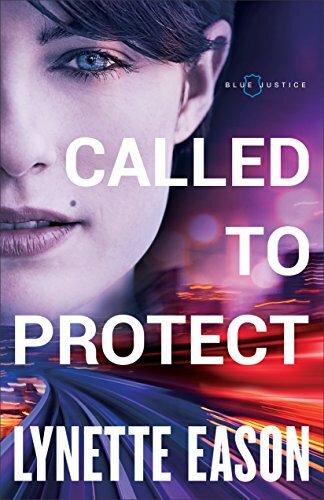 Called to Protect is an exciting, suspenseful story. I can go either way, Edward, depending on the circumstances...like for travel I enjoy using a Kindle. For bedtime at home, I prefer a print book. Thanks for stopping by. That is a plus for a print book, Shannon. And I hope it's made into a movie, too! Thank you, Lual! So glad you stopped by. Both your books causes me to sleep less than I normally do. I set timers at workers when I am on break so that I know I am I have limited time. I love print books but I am seeing the benefits of ebooks when I travel and space in my house. Absolutely Sonnetta about the space in my house...that's why I give away books in my library--I don't have any room to put another book! Thanks for stopping by. Great review Patricia! It definitely makes me want to read Lynette's book. Thanks for sharing and I am still a lover of print. I'm so glad it does, Connie. It's a great book! I prefer reading e-books. I am a suspense junkie and have enjoyed both yours and Lynette's books. Thanks for the review. Sounds like a must read! Thank you for sharing! I love to hold a good book in my hands! Yes, Melanie, it is a must read! Thanks for stopping by. Sounds like a great book! I read both print books and ebooks. You're like me, Linda! :-) A good story is a good story! Another print and ebook reader~ thanks for stopping by. I enjoy suspense novels! Thanks for the fabulous review! I do like the way a print book smells, Linda. Thanks for stopping by. How fun! I'd love to win. I prefer print because it's easier on my eyes, but I have a Kindle and use it often. Winnie, I find the e-reader a little easier because I can make the print bigger. Thanks for stopping by. I have a Kindle & a Kobo, but I still prefer paperbacks. :) Lynette's book sounds great! Thanks for sharing! Lynette's book is great! Thanks for commenting! I much prefer paperback for two reasons....it’s much easier to write reviews, and I donate them to my church library after I read and review. I agree about the reviews, Gail...and donating the books to the church is a great idea. I've donated a few, but our librarian keeps our shelves stocked! She's the best. Thanks for stopping by. I like print better because then I really believe I own them. I like to look at them on my shelves. Ebooks are ok because I can read on the excercise bike or while eating breakfast or lunch. Love Lynette’s books and yours, too, Pat! Paula, I can understand that. I always buy print craft books so I can mark them up. But I can read on my Kindle while on my exercise bike or the cross trainer. Thanks for stopping by. I definitely prefer print books! Thanks for the giveaway! Oh, and I prefer print books. Nothing like the feel of a real book and the pages flying through your fingers! And our winner, chosen by Random dot Org is....Perrianne!